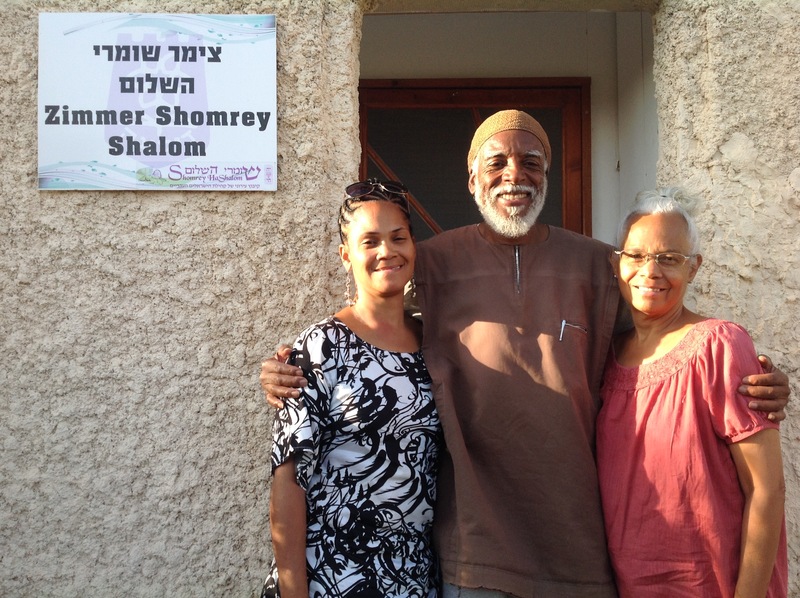 Longevity is in full-bloom in Israel, many locations promote health, and Dimona is actively involved in the practice of nutrition, exercise and mind over matter spiritual work. Every day there is one of purpose and meaning. Keep reading why? 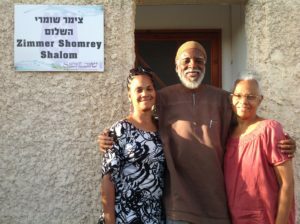 During my 2017 extended stay in Israel, I met the Black Hebrew tribal elders of Dimona who call the Dead Sea the “Sea of Life” due to its vast curative minerals plus rejuvenation history. I decided to eat mostly vegan meals during my summer psoriasis skin treatments at the basin of this Sea. I figured that if I was there to heal my skin I should only eat healthy foods so that my insides would heal also. So, for the rest of my lunches and dinners during the four weeks at the Dead Sea, I ate only “live” fresh or cooked foods vegan-style prepared by the Black Hebrews north of the Dead Sea region in a city called Dimona. Historically, this small group of 3,000 Black Hebrews settled in Israel, leaving Chicago, Detroit and many USA places known for the horrors of brutality, hatred and extreme segregation. It was, of course, during the 1960s when Civil Rights protests occurred throughout America. 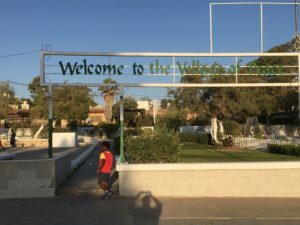 In their own modern-day “Exodus,” these settlers chose Dimona to raise future generations in Joy, Health and Peace, close to the origin of all nations— Mesopotamia—where they believe all of our common ancestors came from. 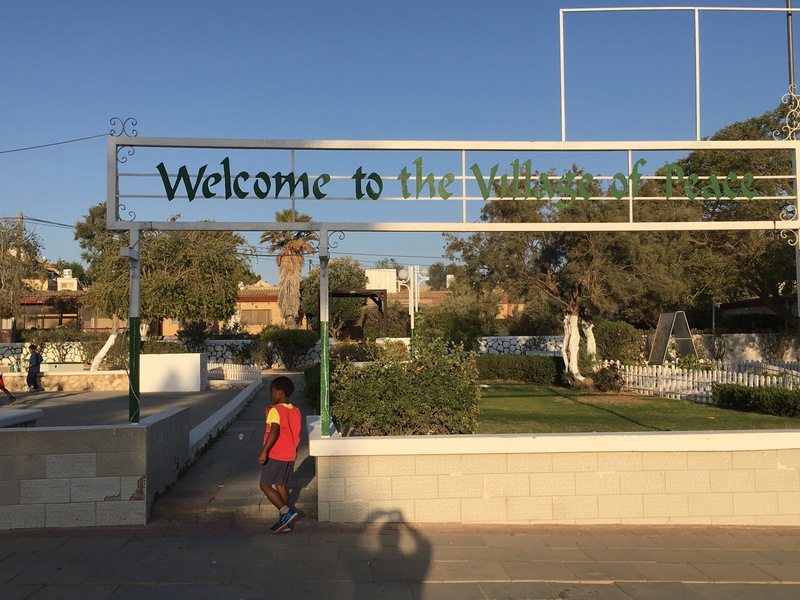 Rightfully, they’ve called it the Village of Peace where I went every Sunday, Tuesday, and Thursday to learn about their culture and enjoy the bountiful food in its vegan restaurant open to the public. And in January 2019, I returned to learn, live and help the Ministers and Elder Leadership plan a masterful “PEACE” mission of expansion into Africa. 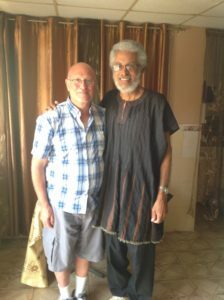 The story continues, and we’ll have updates on plans to launch satellite Villages of Peace throughout Africa. And so, the food is still quite delicious and bountiful as it was during my first summer here. Every day I arrived in summer 2017 at the Sea of Life, the plates they served me fed me for three meals. So, I just took a doggy bag and ate it for lunch and dinner the next few days. They taught me that ALL wellness requires lifestyle commitments and they have witnessed great health and unusual longevity when their villagers observe five basic rules on the left: mandatory exercise, vegan food, periodic fasting, mindfulness, proper rest and relaxation, attention to digestion and elimination. 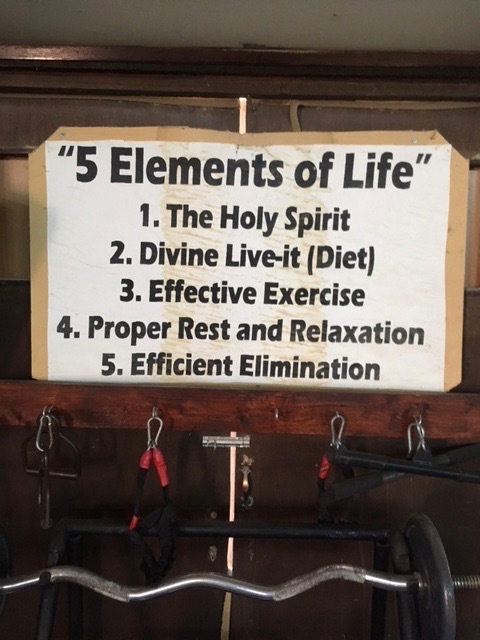 All of this is posted on a sign in their gymnasium. While also believing in one G-d who they refer to as “YAH” – they don’t practice religious Jewish traditions except for blessings on their vegan food. Remember they are Hebrews, descending from Abraham and above, but do not claim to be Jews, even though they serve in the Israeli Army as citizens of this Land. Yet, they celebrate every Sabbath by fasting and commemorate other High Holidays like Passover, Rosh Hashanah, and Yom Kippur. 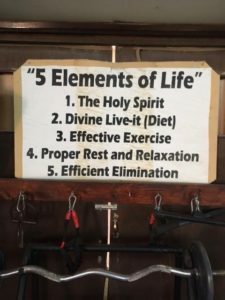 They explained this practice of fasting for spiritual cleansing and detox method for healing which goes back beyond Moses. Also, these people believe if G-d rested on the seventh day of creation, then we practice doing nothing on that day. I learned more details from my next interview with Almadiel Ben Yehuda (next to me on my left), Minister of Information and National Spokesman who arrived in the 1970s as a youth in his 20’s. He explained that from a mere 500 villagers who immigrated in 1969, they currently have grown to over 3,000 in the community just 48-years later. Part of this amazing growth is due to their adopting the ancient African and Hebrew practice of multiple wives (polygyny), resulting in multiple offspring. Biblically this was a common lifestyle adopted by Abraham, Jacob, and many others in ancient times. Ahamalyah’s journey originated in Los Angeles, where she was a black activist student. She met and studied with the Civil Rights radical Stokely Carmichael, famous for his “Pan-African” work after his previous civil rights connections with the famous Dr. Martin Luther King, Jr. While at U.C. 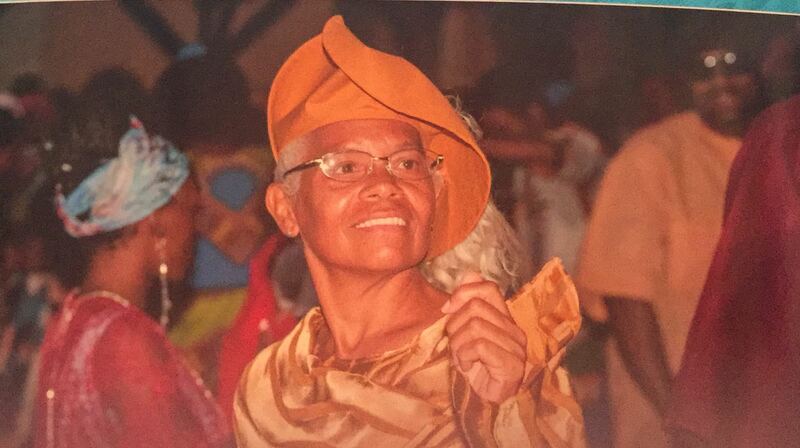 San Diego, Ahamalyah maintained a connection for seven years with Stokely’s worldwide movement, whose mission was to strengthen relations with Africans everywhere. Amazingly, she is still working with her Ministry and the team of Elders for peaceful Pan-African rights of sovereignty. After this, in 1984 she decided to sojourn across the Atlantic directly to the city of Dimona, Israel with her husband from Chicago. She landed nine-months pregnant and gave birth to her son Zion. So, what is this Village of Peace about? What brought hundreds of Black Hebrews during decades of civil rights strife to Liberia first…then to Israel for asylum and peace, health and safety? Each of these leaders told me the same story…they came because of brutality in the US, but they discovered their own humanity by thoroughly researching their Hebrew past and their inheritance. This knowledge gave them a purpose and a mission, leading to their naming their place “Village of Peace.” In talking with the elders about this name, they agreed it should include the ideas of health, harmony, and community. Therefore, the word peace may confuse outsiders which is why people need to truly experience and appreciate where the Black Hebrews are coming from. And, this is why I have returned in 2019 specifically to learn, write and help to electronically promote their mission and their “GIFT” to us all! 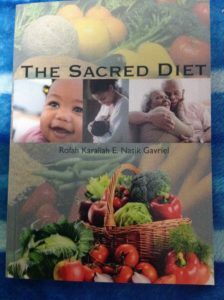 Using vegan recipes developed in the 1960s, a grandmother, her daughter, and grandson created many recipes derived from ancient texts such as the Bible and were intended to be similar to those foods consumed by our ancestors in the region. Her grandson Yihoyakeem and his mother Yesha, their caterer, and nutritionist continue to honor the now four-generations of “Sacred Diet” vegan foods in honor of the grandmother who founded many of the recipes. A new cookbook is in the works and it will be the subject of a separate article soon.